Getting the right healthcare plan could mean the difference between life and death. You don’t want to be swamped with debt because of an illness that wasn’t covered. You need the free Health Insurance Plans for Nevada through Pennsylvania templates to help you choose the right healthcare coverage plan for your needs. This free set of template takes you through, step by step, and shows you which plans give you the things you want and which ones you can avoid. You can even use the convenient filters provided by the template to find that one plan to keep you set for life. Give these templates a try today by following the directions below. These templates cover plans for Nevada, Ohio, Oklahoma, Oregon, and Pennsylvania. You can start by downloading the free template file to your computer. To do this, scroll down and click the link of your home state. This will automatically download the template you need to your computer. It may seem like a lot of information at first but when you start to use the filters that information will be whittled down to the ideal plan for you or your family. It’s important, especially if you have a family, to find something that has both flexibility with coverage and is affordable. You will start by selecting your location and healthcare provider with the filters at the top of each column. 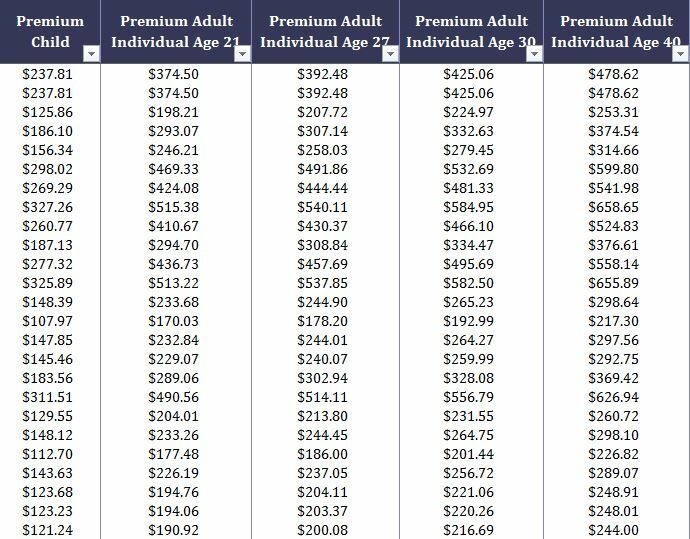 After that, you’re free to use them for the remaining column categories, such as premium prices and coverage. This template makes it fast and easy to find a plan that works for you.